Founded in Cluj-Napoca, Transylvania in 2015, For the Wicked was considered one of the most interesting and ambitious band appearances on the metal scene in Romania. The Low4Bass Studio award at G.B.O.B. Romania. lthough the band consisted of young musicians, hard work and perseverance are key and they have managed to prove their worth through the impeccable quality of their first EP titled ‘’Trust your Heart''. In about two years of existence, the guys were quite active and busy and have successfully held over 80 concerts, many of which were completely insane regarding the synergy between the band and the audience. 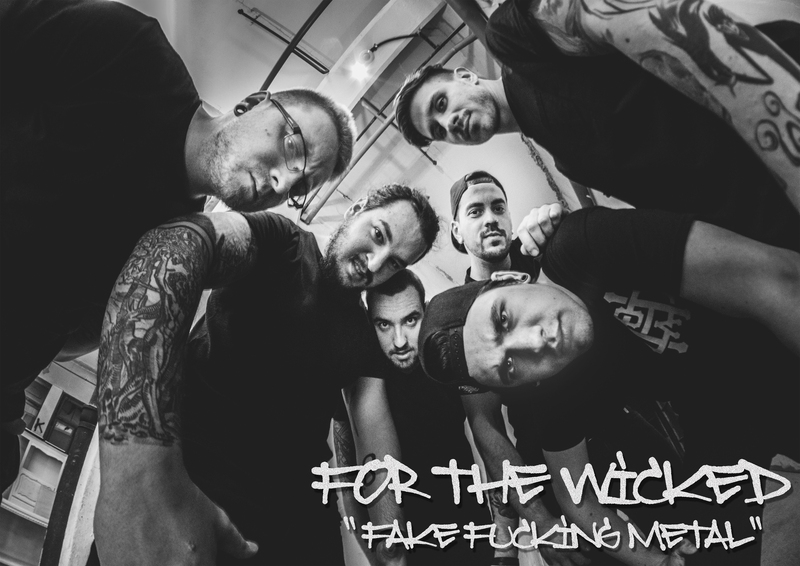 In the spring on 2017 For the Wicked held their first tour that exceeded the borders of their home country, ''The Fake Metal Tour 2017'', which saw them playing in 4 locations in the south of France and 3 locations in Romania with their new friends Ze Gran Zeft. They have also played several shows in Hungary, Bulgaria and the Republic of Moldavia. In the fall of 2017 they embarked on their first Eastern and Southern European tour alongside Exist Immortal and played quite a few shows in Romania, Bulgaria, Greece, Macedonia, Serbia and Hungary. The two bands turned out to be a great combo and it’s safe to say that those who attended the shows were in for a treat.